Lovecraft himself said the story was “so fiendish that [Weird Tales] editor Farnsworth Wright may not dare to print it.” He did, of course, for $240 ($2800 today… good god, if only I could make that much money on a single short story!). 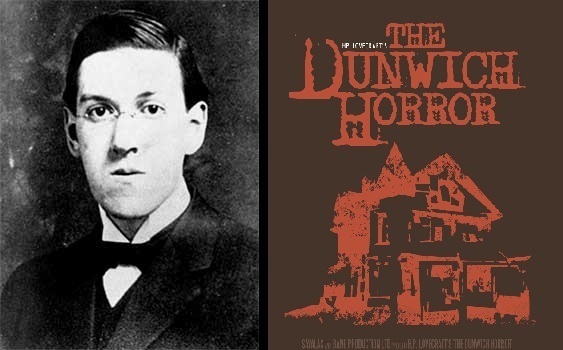 What it’s about: In the town of Dunwich lives Wilbur Whateley, the son of a deformed albino woman and an unknown father (the name “Yog-Sothoth” gets thrown around though). He grows quickly and begins to study the Necronomicon, desiring to initiate the return of the “Old Ones,” including Yog-Sothoth. He and his grandfather seem to have captured an invisible dark presence at their farmhouse; it grows to a monstrous size as cattle begin to disappear, as does Wilbur’s mother. Why it will keep you up at night: You read through the story knowing there’s something really off about Wilbur; he’s creepy and practicing dark magic, and he wants to revive the dormant old gods of Lovecraft’s mythology. That’s pretty sinister and in and of itself, but the punch in the gut is when the nature of the invisible monster is revealed: here you are, thinking Wilbur’s the Dunwich horror, and it turns out he was only the tip of the iceberg… his twin brother is much, much worse. The creep-factor goes up if you’re more scared of what you can’t see, since that thing is invisible (so you can only imagine the grotesqueries of its appearance), making it awfully hard to pin down and kill. Read The Dunwich Horror now! Yes, this is one of my favorite Lovecrafts, too! Thanks for the reply. I just went to your website and saw you have a plethora of interesting-looking books… I will have to grab some of those for my Kindle!